This topic contains 0 replies, has 1 voice, and was last updated by Volunteer Hanover 1 year, 2 months ago. Awards recognize volunteer contributions in 7 categories: adults; youth; groups; seniors; those serving 20 years or more for the same organization; families; and businesses. 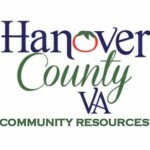 All nominees will be honored and award recipients will be announced at the annual Spirit of Volunteerism Celebration on May 15, 2018 at Hanover High School. This event is free and open to the public to celebrate the volunteer spirit within all of us.